I really dig the author's writing style. There's something about it that really draws me in and wraps me up the in the story being told. Much like Sugar, Pearl is a raw and gritty story that proves life isn't perfect, but it's still worth living. Pearl was a wonderful main character. She was flawed and battled with her own demons. I loved that through everything she was still someone we could root for. The struggles that she faced in the wake of her mother's addiction were realistically done and painted a true to life picture of how addiction affects everyone in an addict's life. Pearl's story is one worth reading. 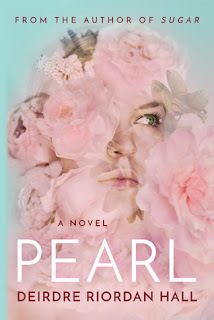 I love character driven books and Pearl is definitely a favorite for this year.